Thurgood Marshall Middle School would like to announce the M.V.P. Students of the Month for April 2017. 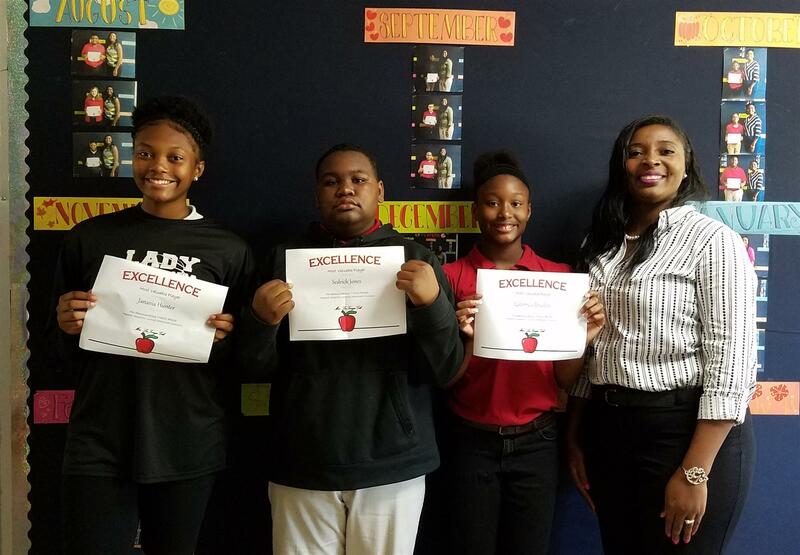 They are our Most Valuable Players who have displayed awesome character traits, showed school pride, are student leaders, and has exhibited good behavior in the classroom as well. We are so proud of these students and hope they continue to work hard as the M.V.P's they are. Way to Go Mustangs! !